Ukraine's Anna Ushenina - reigning Women's World Chess Champion - begins her defence of the title in Taizhou Hotel, China today against China's Hou Yifan. The opening ceremony of the match was held on Tuesday. Xiao Min, the vice-president of Chinese Olympic Committee and Assistant Director of National Sports Bureau, declared the Women’s World Championship Match open. Ushenina got White in the drawing of colours ceremony. Yang Junan, the President of Chinese Chess Association, welcomed guests to Taizhou and said, “Through years’ development, under the lead of government and chess association, chess in Taizhou is very popular and contributes a lot to the development of chess in China. 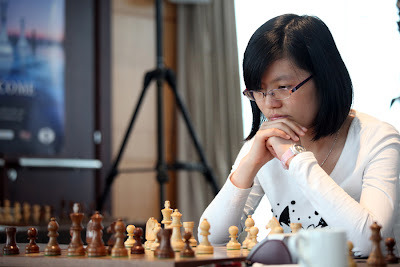 Here also comes out many excellent chess players among whom Hou Yifan is the outstanding representative. I believe that this event held in Taizhou will further raise the reputation of Taizhou and promote chess in this city." FIDE President Kirsan Iljumzhinov congratulated everybody with the start of the Match, expressed his gratitude to Ms. Xiao Min, the Vice president of Chinese Olympic Committee and Assistant Director of National Sports Bureau, the Mayor of Taizhou city Mr. Xu Guoping, FIDE Vice-President Mr. Chu Bo, the President of Chinese Chess Association Mr.Yang Junan, for the attention which chess receives here. After the opening ceremony the Women’s world champion Anna Ushenina, FIDE President Kirsan Iljumzhinov and guests were invited for the excursion to impressive China Medical City. In the evening the World champion Anna Ushenina and challenger Hou Yifan inspected the playing venue and checked the lighting. The Chief Arbiter Panagiotis Nikolopoulos drew the attention of the participants to time control, "zero tolerance" rule and the absence of any restrictions concerning draw offer. The members of the Appeals Committee Chairman Jorge Vega, David Jarett and FIDE Supervisor Ali Nihat Yazici were introduced to players. The first game will start at 3 p.m. local time on 11th of September. 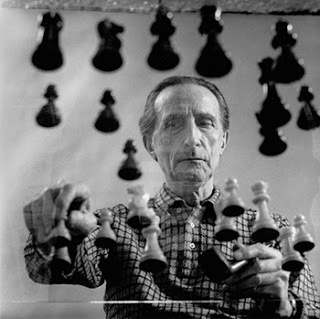 Kavlov in 1949, a secret photograph taken by US intelligence camera concealed in his chess board. Many commentators have pointed that Putin’s quick thinking has offered a convenient solution for all involved, but few have recognised the role that chess played in this incident. Keen enthusiast of the game will recognise that Putin’s proposal was a variation on the classic ‘Jabowntski sacrifice’, in which a functionally-degraded chess piece is sacrificed to create space for manoeuvre elsewhere. But that is only half the story. Few people will know of the role chess played in Soviet strategic thinking and the various programmes that the USSR established to train its military and intelligence elites in the art of Zevsebia, or chess-think. Chess-think was for the USSR what game theory was for the US during the Cold War, but the Soviets went further than the Americans in making chess-think second nature to their cadres. According to Soviet documents that were declassified in 2004, the first Zevsebia programme was initiated in 1932 when Stalin, an obsessive chess player, put the man who would later head the NKVD Beria in charge of running the programme. Beria recruited Russian chess grandmaster Kavlov, also a keen amateur boxer who won a bronze medal in the 1924 Olympics, and charged him with developing the outline of the programme. Kavlov’s template was to survive almost unchanged until 1986, when Gorbachev, who had an aversion to chess, cancelled the programme after decades of successful operation during which it trained hundreds of the top Soviet cadres. Kavlov’s combination of intellectual and physical rigorous training provided a winning formula for the programme, and Stalin often joked that graduates were ‘our own Supermen’. The programme was only offered however to a small number of top operatives that had the appropriate levels of mental and physical fitness to pass the rigorous training. In the KGB for example, only agents promoted to the prestigious X2, nicknamed the steel professors, were allowed to receive a Zevsebia training. The X2, as you might have expected, was Vladimir Putin’s old unit in the KGB. An even more interesting fact is that the six remaining Zevsebia graduates are all associated with Putin’s inner policy circles, as former Kremlin insider Yuri Nodov revealed in his critical but obscure 2008 book ‘The Circle’. In one of the few available written documents on Zevsebia, Nodov published a description of the programme and its training routines in his book, providing a valuable insight that has gone largely unnoticed in the West. Not only were the trainees subjected to intensive training in tactics, military theory, chess and physical fitness, they were forced to compete in chess under extreme conditions. For example, the trainees were forced to play rounds of chess inside refrigerator rooms at below-zero temperatures. They were also made to compete inside very hot rooms, invariably while hopping one foot or doing push-ups. It isn’t surprising than fewer than fifteen per cent of all candidates graduated from the programme. It won’t come as a surprise that Putin came top of his class. Putin no doubt came across the ‘Jabowntski sacrifice’ during his Zevsebia training, as Russian chess players were forbidden to use it in play and it remained a tactic known only to those within the intelligence community. Stalin had good reasons to maintain the secrecy. During the siege of Leningrad, he and Beria and Kavlov implemented a variation of the manoeuvre by offering Hitler forces what appeared to be a valuable strategic position on the outskirts of the Zabvadna, only for the jubilant Nazis to realize too late that this allowed Stalin to outflank them and finally manage to break the long siege. Yaroslav Mitske’s book ‘The Gamble’ has a detailed description of the operation. Mitske also describes how Stalin had the sixty officers who were in charge of the operation shot after the war ended to preserve the secrets of the ‘Jabowntski sacrifice’, no doubt because of his paranoia. 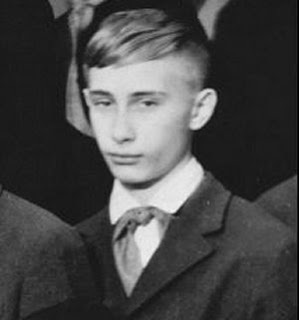 Young Putin at the Zevsebia school, in its trademark uniform. For Zevsebia experts, there is no doubt that Putin’s manoeuvre yesterday when he offered to sacrifice the Assad regime’s chemical weapons in return for staving off the US attack was inspired by the classic chess move. The Kremlin will no doubt dismiss those reports as fantasy, as it has done for decades but the evidence is there for all to see. It’s not a little bit ironic that the manoeuvre that allowed the US to save face was developed by the Soviets for precisely the opposite reason. 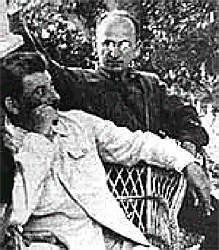 Stalin and Beria at a visit to the Zevsebia school in 1947. Hikaru Nakamura is the top chess player in the United States, among the ten best in the world, and he’s playing in one of the year’s biggest tournaments in his and our backyard. He’s moved to St. Louis to pursue his dream of a chess world championship. Here's a video feature on the American player and the Sinquefield Chess Cup starting today in St Louis. The Amateur Chess Organization (ACO) and Chess.com have partnered for a special opportunity for discounted rates for the ACO World Chess Championship 2014! Did you know that every chess player now has the opportunity to become a world champion? That's right! As we look forward to this November's “professional level” World Championship Match between Carlsen and Anand, the world's largest group of amateur chess enthusiasts (that's right, you guys) should know that there is also the ACO World Amateur Chess Championship to consider! All players rated below 2400 can compete in the Championship, and this year Chess.com has partnered with ACO to offer members a very special discounted entry fee. The World Amateur Championships are broken into different 7 rating classes, ensuring that each player has a fair chance of becoming world champion in his or her class! Don't know about the ACO?...The Amateur Chess Organization organizes events for amateur chess players all around the world. The 1st ACO World Amateur Chess Championship (WACC) took place in Dubai in 2012 and had 72 players. The 2nd ACO Championship was held on the Greek island Crete in May 2013, where 168 players from 28 countries participated. The 3rd ACO World Amateur Chess Championship (WACC) will take place on the beautiful Greek island of Rhodes on June 7th-16th, 2014. ...And this year's championship is an “open tournament” (everyone can sign-up!) and has total cash purse of 5000 Euros! The winner of each rating group will become the 2014 ACO World Amateur Champion of their respective rating class. 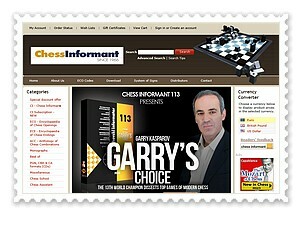 Chess.com Members who register by emailing this address will receive the special discount of 50 EURO per player / entry! More information can be found at the official tournament website! 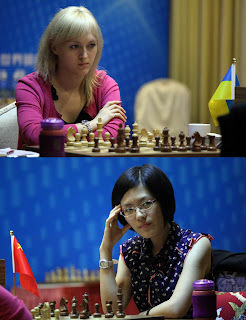 Women’s World Chess Championship Match 2013 between the current World Champion Anna Ushenina of Ukraine and her challenger, Hou Yifan of China (former World Champion 2010-2012), is scheduled to start on September 10. The drawing of colours will be conducted during the opening ceremony which will take place at 3 p.m. The player getting the white colour in game one plays game five with the black pieces). The time control is: 90 minutes for the first 40 moves, followed by 30 minutes for the rest of the game, with an increment of 30 seconds per move starting from move one. The winner of the ten-game match is the first player to reach 5.5 points or more. If the scores are level after the regular ten games, after a new drawing of colours, four tie-break games will be played, with 25 minutes for each player and an increment of ten seconds after each move. 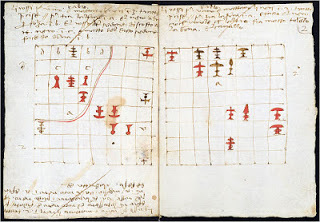 If the scores are level after the four rapid games, then, after a new drawing of colours, a match of two games will be played with a time control of five minutes plus three seconds' increment after each move. In case of a level score, another two-game match will be played to determine a winner. If there is still no winner after five such matches (i.e. after ten games), one sudden death game will be played. This involves a drawing of lots, the winner being able to choose the colour. The player with the white pieces receives five minutes, the player with the black pieces four minutes, with an increment of three seconds per move from move 61 on. In case of a draw, the player with the black pieces is declared the winner. 60% for the winner and 40% to the loser if the match ends within the 10 regular games. In case the winner is decided by tie-break games, she will receive 55% and loser 45%. Anna Ushenina holds the title after the 2012 Women's World Chess Championship (knockout format) in Khanty-Mansiysk while Hou Yifan had a right to challenge her after she became first in the Grand Prix Series 2011-2012. Anna Ushenina and Hou Yifan played their first game in 2006 during World Chess Olympiad (Turin, Italy) and the game ended in a draw. In 2007 another draw was signed during Russian team championship. Hou Yifan took the lead in their encounter in 2007-2008 when she won three games in a row. However, in the end of 2008 Anna Ushenina managed to outplay Chinese prodigy during the European Club Cup. Another draw in 2009 and the players stopped meeting over the board for the next 4 years, till 2013! Anna Ushenina defeated Hou Yifan with black pieces in their last encounter during Geneva Grand Prix. Games between these two have been consistently hard-fought. 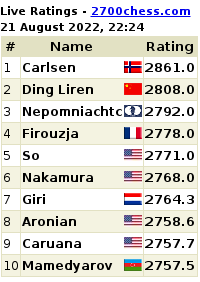 Hou Yifan is one point ahead according to overall results. For her part, however, Anna Ushenina played 7 out of 8 games with Black and has victory in their last game at Geneva GP in 2013. According to FIDE rating Hou Yifan (2609) holds the second position among women after Judit Polgar. Anna Ushenina (2500) is on 17th place. Former world under-16 champion B. Adhiban, who recently went all the way to the third round at the Chess World Cup, has won the Barcelona Sants Open chess tournament this Monday. It's been a great run for Indian chess as Pentala Harikrishna recently won the Biel Chess Tournament, Parimarjan Negi won in Copenhagen, S.P. Sethuraman won Leiden and M.R. Lalith Babu won the Vlissingen event. 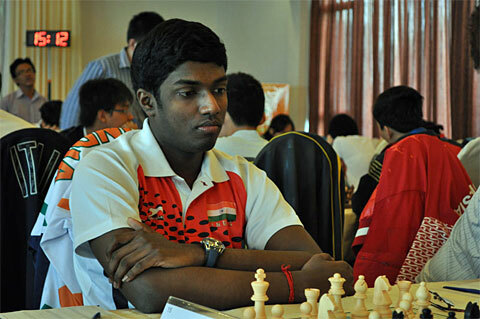 Adhiban was the only titled Indian in the 298-player contest and finished a point ahead of Lazaro Bruzon of Cuba. The second to fifth places were shared by Cori Jorge (Peru), Vladimir Potkin (Russia), Jan Gustafsson (Germany) and Firat Burak (Turkey) with eight points each. Nineteen-year-old Vadodara boy Darpan Irani is back home after making a splash at the World Individual Junior Blind Chess Championship at Belgrade in Serbia. At the event, organised by the International Braille Chess Association from August 21 and September 1, Darpan won a bronze medal — a first medal win in the category by India in 16 years since the country's blind chess federation was recognised by the international recognising body. Darpan defeated his nearest rival from Serbia in the world junior individual braille chess championship to emerge third, missing silver medal by just half a point.However, Darpan is more than happy to have won the first medal for his country, and believes he could have done much better had he focused more on practising chess rather than on his Chartered Accountancy studies, which are equally important for him if not more. "This is the first time India has won any medal in this category, and I am glad to have emerged victorious. It was a do-or-die situation in the last round, as drawing was not an option. Drawing would not have fetched me a medal," he said. This was the first time he had travelled abroad without his parents accompanying him. "Organisers insisted on my parents accompanying me but I refused, because I would have to become independent someday. After a lot of discussions and deliberations, they finally agreed," he said. Of the nine games that were played in the tourney, Inani could not perform well in the first four, which dimmed his chance to win gold. "There were some miscalculations due to time pressure, so I had to repeat moves. 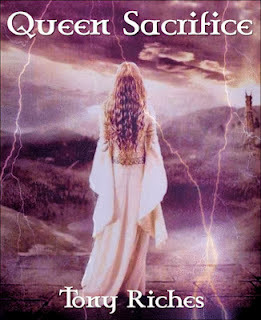 Moreover, I made some technical errors in between," he said. Vladimir Kramnik claimed victory in the FIDE World Cup after he drew the fourth classical game in the final match against Dmitry Andreikin. The overall score in the match was 2.5:1.5 in Kramnik's favor. The former World Champion won the first game of the final match while the other three games finished in a draw. The former World Chess Champion didn’t lose a single game during the event and showed great play. He won four out of seven matches in classical chess and the three others in rapid. His opponents were G.Bwalya, M.Kobalia, A.Areshchenko, V. Ivanchuk, A.Korobov, M.Vachier-Lagrave and D.Andreikin. FIDE World Cup 2013: video report Day 24 Final Game 4, with Susan Polgar, Kema Goryaeva and Anastasiya Karlovich.